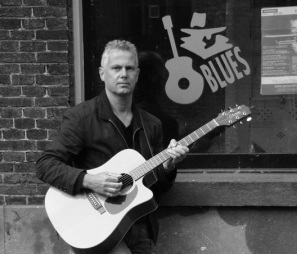 Wim Bevelander (1957 - blues harp, guitar, steel). Exactly this time thirty years ago the first sounds were heard from Wim Bevelander. In those thirty years he has made twelve records with his own pure sounds in the styles of pop, gospel, rock, folk, and cabaret. Every year Wim toured through the land giving performances sometimes with a band and other times with just his acoustic guitar. He is known for his lively songs in the Dutch language. His lyrics touch you, make you smile, and make you think which are often contained in his songs, sometimes in a column or a (children’s) story. His catchy expressions are either confronting or encouraging. Even though Wim is an experienced artist who is used to being in the spotlight, he really enjoys his role in the band CashFlow. Wim says: “This music is so amazing to play live, the quality is good, and still we have room for spontaneous improvisation.” When he was asked to play in the Johnny Cash church service, being a Bob Dylan fan, he did not have to think twice.